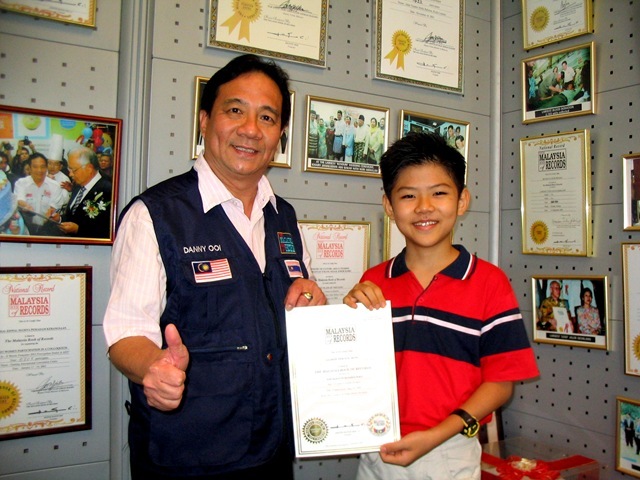 Today (09/09/09), I am enlisted in the Malaysia Book of Records (MBR) as the youngest published poet in Malaysia. I feel very honored to be enlisted in MBR. I want to thank MBR for organizing this event, and Dato’ Danny Ooi for founding MBR. They have personal achievement records and group event records. The personal achievement records help encourage the person while the group records help to build the spirit of teamwork. I am very proud to be a Malaysian. I am also very grateful to my mother and father for supporting my hobby and lifting it into the professional level. First, Azrene, the Head of Research in MBR, emailed me to ask me to join the Malaysia Book of Records on July 13 after my appearance with the Prime Minister on the press on 11 July. Then, they had to confirm that I am the youngest poet by checking the bookstores for poetry books that were written by kids no older than 9. None were found. for I hug him all day. and go for a holiday. He jumped into my toy plane. He didn’t want to stay. and zoomed out of the way. he went out my open door. He flew into the big blue skies. But there was a big thunderstorm. The plane was struck by lightning! He then began to crash! Oh no! I’m sure that it was frightening. he crashed into a river. Bad thing it was the Angel Falls! He then began to shiver. my kitty was a ball. Then I saw my kitty flying. Then he landed on my head! “My darling, it is you!” I said. 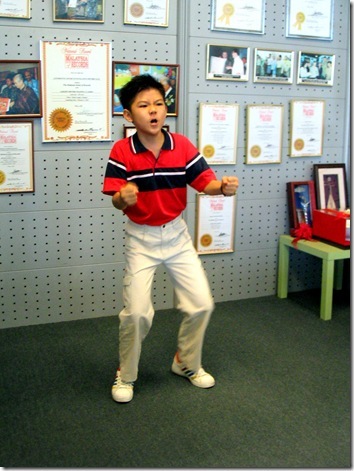 After finishing, I also acted out the poem on the spot in front of the founder of MBR, Dato’ Danny Ooi. 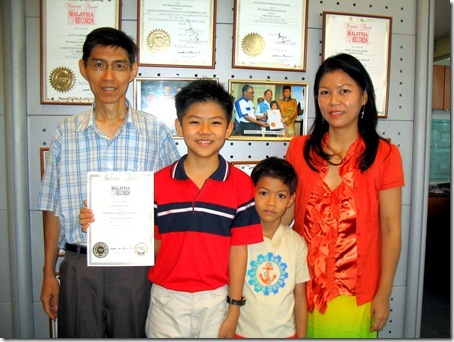 After that, my mother chose this date (09/09/09) to receive the record certificate. My mother chose 09/09/09 because number 9 in Chinese culture means ‘forever’.. After receiving the certificate, then my mother realized this date was really God-given, because my Chinese name is Teh You Heng. “You” means protection from God. “Heng” means forever. Here are some photos from the event. I want to thank Simon Liew (A kind friend I met online) for helping me take all these nice photos (Yes, all photos here are taken by him). Me performing my poem, “The Fly”, using the music and sound effects I composed on keyboard. Me acting out my poem, “My Dad’s Obsessed With Elephants”. 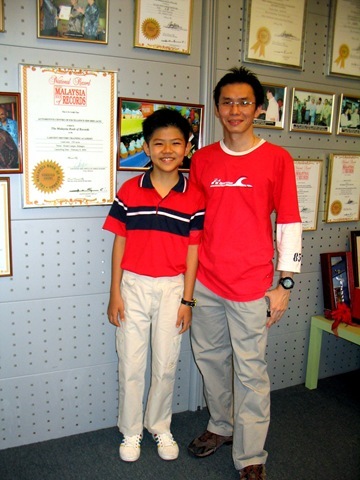 Me with Simon Liew, the kind guy who helped me take all these photos. My brother, Rockson, was invited to dance to Michael Jackson’s “Smooth Criminal”, too. 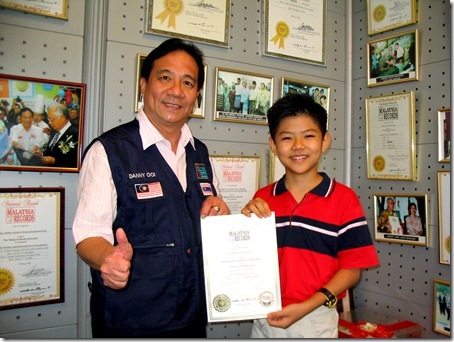 Holding a personal record in the Malaysia Book of Records has certainly encouraged me to become a better person each day. I’m the 1st Runner-up in the Blog4FT Contest! CONGRATS, Gloson! That’s a fantastic achievement. Well done. And thanks for sharing those nice photos, too. Congratulations to your parents, too – they share your joy and reward, I’m sure. Thank you very much, Dr. Mani! I have to thank Simon Liew for that. If he was not there, no nice photos! Your hard work had paid off…Really proud of you! Well, it’s great you won the MBR, may be one day you might be listed in the world record. Anyway, after reading your poem about the cat, I got to say… I read it as though it’s so smooth… congratulation for the record. .-= The Bad Blogger´s last blog ..The Bad Blogger Reveals His Disagreement To Farrhad’s 5 Reasons Why Entrepreneurs Must Attend School ! =-. Thanks for the compliment on my poem! I’m glad you enjoyed it. About the world record, I’ll have to wait and see. .-= Simon Liew´s last blog ..Photography =-. No problem, Simon! 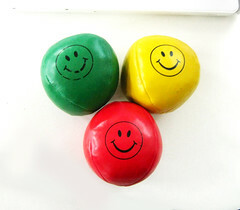 I’m very glad you came! 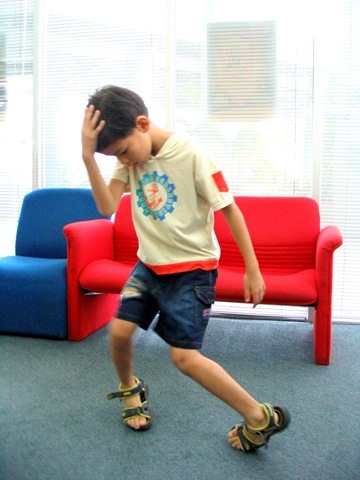 one day maybe Rockson will dance to your poems ! Hey Gloson,long time no see ya…Hehe…So happy that you’re blogging again…I love your post!! .-= Ashlynn Jojo Lolipop´s last blog ..学习放手，才感觉到自由的快乐 =-. Dennis – Thank you very much, Dennis! Ashlynn – Thank you very much! Long time no see! .-= earningstep´s last blog ..How to choose product to sell on clickbank – covering the basic of clickbank secret part two =-. Thank you very much, Jeandseen! with your poems, and Rockson dancing in the background !!! Maybe, hehe. But I think he prefers dancing to Michael Jackson songs though. Good suggestion anyway! Will look forward to it! 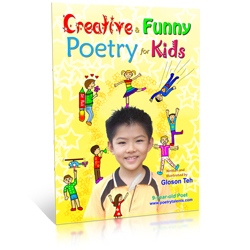 dancing with poems .. i don’t think that is a good idea….lol..
hey gloson , i wonder, your brother have the same blogging skill or at least the same blogging hobby with you ? Err… my brother does not blog, but I’m sure he will in the future! Maybe about hip-hop dancing. LOL. .-= Isaac | GoBlogger´s last blog ..Do you Know the Pagerank of WordPress.org? =-. Thank you very much, Isaac! MALAYSIA boleh!!! I never know you’re a kid..boy, you’re awesome..
.-= Een Rockstar´s last blog ..Don’t Ask Me To Leave Comment On Blogspot Because I Hate It =-. Thank you, Fazreen! Malaysia Boleh! Wooooo! poet but a great performer too !! – I bet you make your parents proud ! hey! awesome achievement! (this is saberdogdog) last thing I knew, you were an active member of p4k, and here you are, with a book published, and at the youngest age in your country! way to go, Gloson! .-= Jefferson´s last blog ..saberdog18: FOLLOW CHRIS PIRILLO or I will eat a kitten =-. Thank you very much Jefferson! Gloson. How about a poem about Malaysia ? Haha! Thanks for the idea. Maybe I will in my next one. Thanks for the suggestion! .-= Yachts Combson´s last blog ..Isa 600 Superyacht Review with complete photos gallery =-. Hi this is my first visit on your blog and i found it very interesting and inspiring. In such a short age you have done a big work. I would like to say all the best to your future. congrats, you’re not only cute you’re also smart, you’re not only smart looking but you’re smart in everything… keep it up..
Wow! Good for you! Still remember me? Just dropping by. .-= Hussein´s last blog ..Cannot init d3d or grf has a problem =-. Hi Hussein! Yep, I still remember you! Thanks for stopping by! Great lines which you have dropped in your poem. Very nice. N Noble yet so humble. Cheers and Best Regards, Gloson. hi im 13 and i love writing funny poems too! ive written 20 poems till now..though i don’t act the out..ur AWESOME and ur soo lucky..i started my blog,like, yesterday and i came across this and i am SO impressed!! WOW! i mean do u hav any tips for my blog? wat do i blog about? my poems? my life? i dont know! i think ur d right person 2 tell me! You write funny poems and blog too? Cool! Thank you very much for the nice words! Well, you can blog about your life, poems, your hobbies, tips on your hobbies, recent news and what do you think, and stuff you are interested in, etc. I have to say, if this kid is real, then I am very impressed. The intelligence he has it such a young age is crazy. Congrats, at this pace you will be a super internet star by 16! !